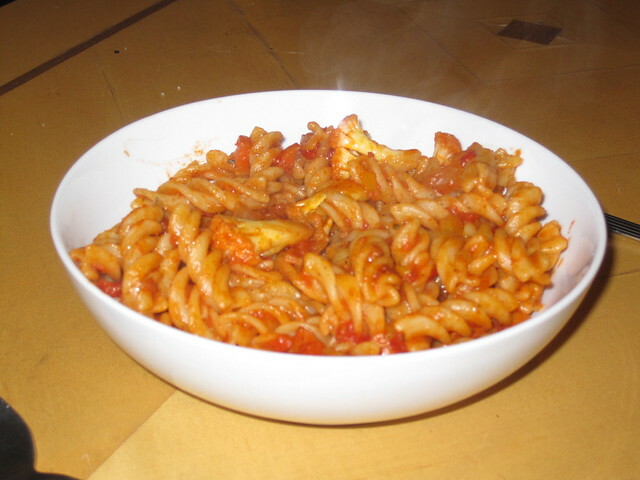 The boiling of pasta and the vegetables in sauce preparation should be parallel. 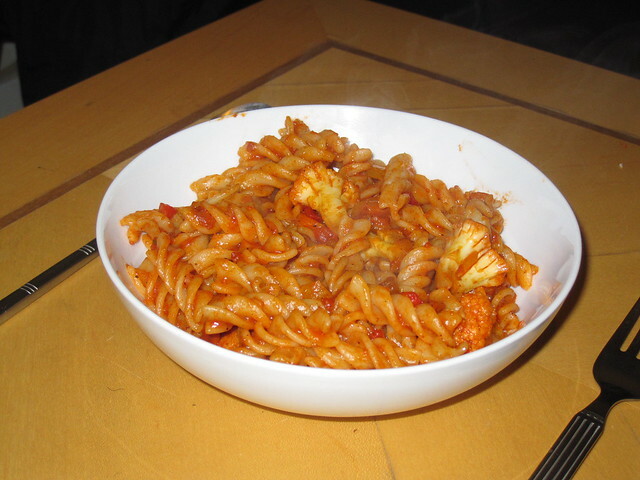 This is due to the reason that the boiled pasta should be added to the vegetables and sauce immediately. 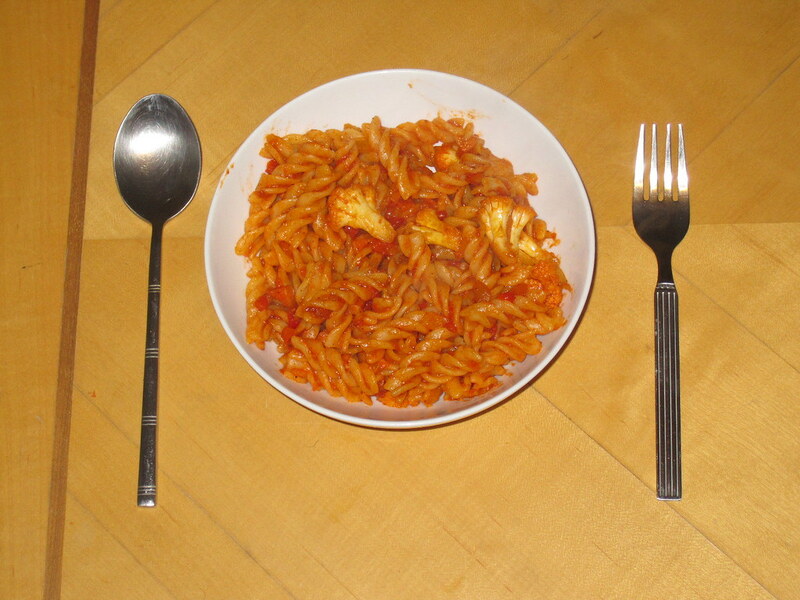 Take one litre of water for 100 gm of pasta. Boil it well. Add 10 gm of salt for 100 gm of pasta. Again boil the water. Now add the pasta. Let it cook well. Cook the pasta until it become soft and the white strand disappears. It is not advisable to add oil while cooking pasta because the strands will stick to each other. Once the pasta is cooked, add a cup of cold water to pasta immediately to prevent further cooking. Drain the water from pasta. Heat Olive oil in a pan,add onion and other vegetables. Add salt and fry the vegetables well and keep aside. Heat the pan and add sauce and let it cook for five minutes. Add pasta in sauce and saute it well. Pasta should be added immediately after draining the water. Now vegetable pasta is ready to serve. Serve pasta with grated cheese on the top.